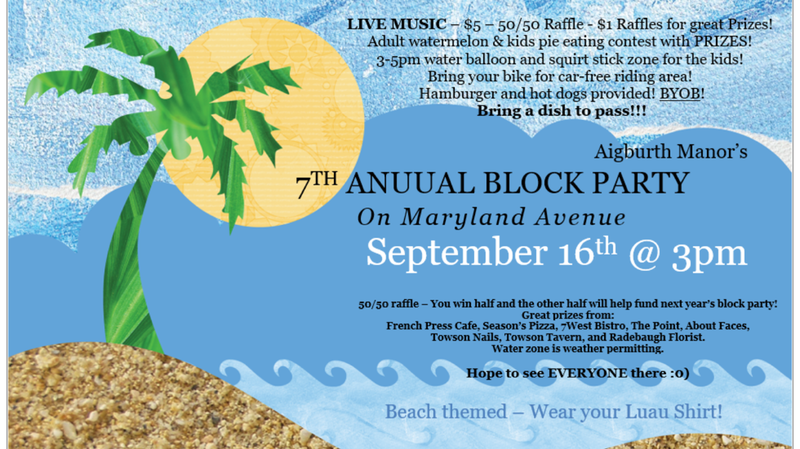 Come and enjoy food, games, LIVE MUSIC, raffles, and hanging with your neighbors! A $5 – 50/50 and a Raffle with great prizes including gift cards to Season’s Pizza, Magooby’s Joke House, 7 West Bistro, French Press, Towson Nails, About Faces, and MORE!!! Hot dogs, hamburgers, and pizza provided.